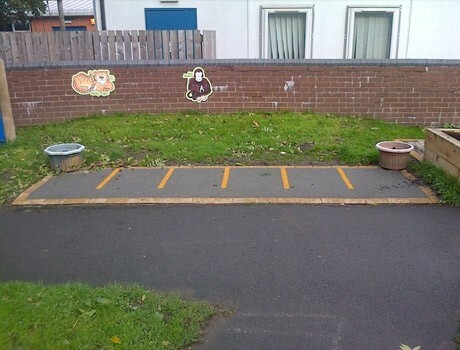 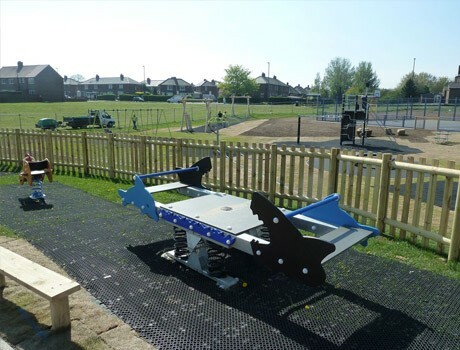 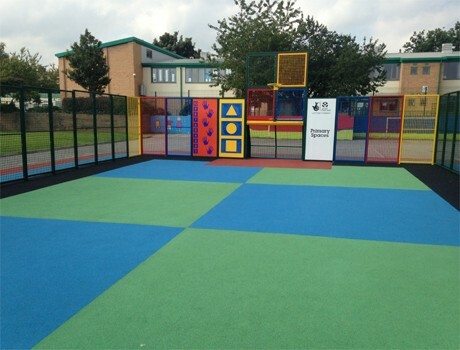 The existing school play area was very much underused by school and the design brief was to create a new outdoor playground providing a structured outdoor learning environment for the Early Years Unit. 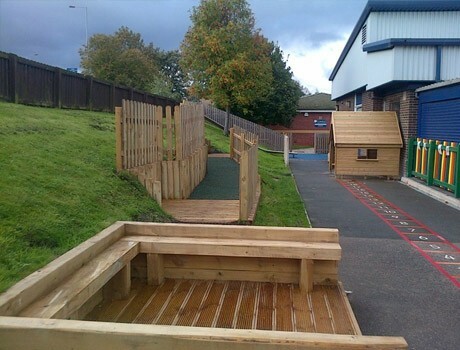 We also had a challenge in considering how best to use the grassy embankment which the children had limited play value from. 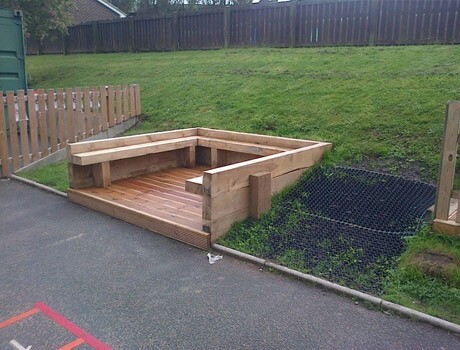 The playground design included a bespoke amphitheatre which was constructed from premium sanded sleepers and an internal timber decked stage area and is used as a mini outdoor classroom. 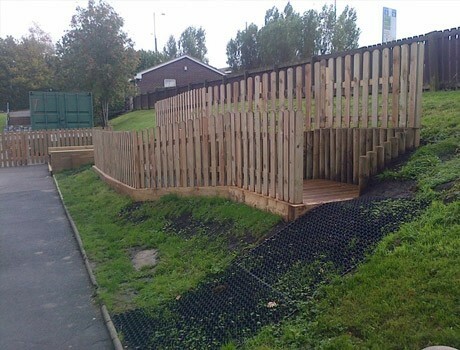 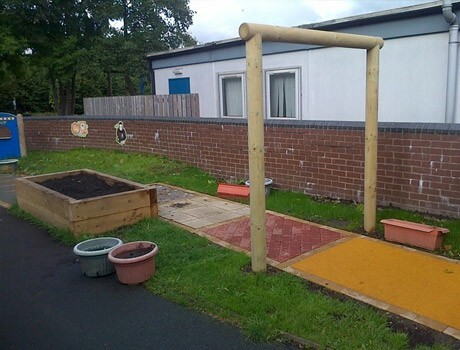 A magnificent textured pathway featuring many differing sensory textures provided a superb opportunity for play for children with special educational needs. 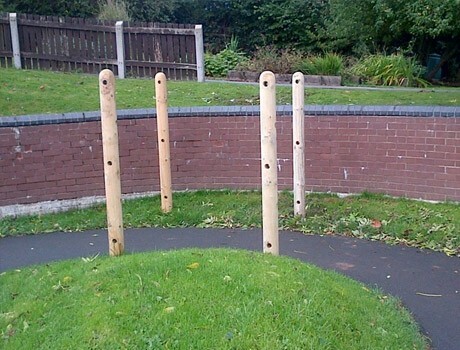 The pergola tunnel and planting and mud/digging beds provided a wonderful play activity alongside the den making poles. 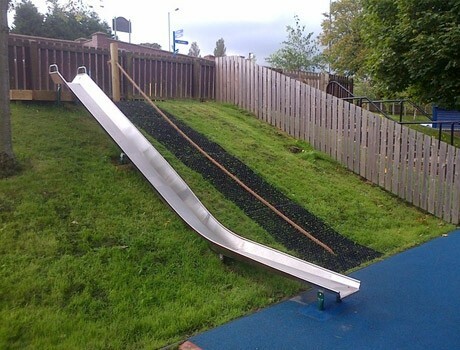 To the far end of the embankment a vast new stainless embankment slide was installed to provide fantastic interactive play and we designed a rope pull up access with slip resisting grassmat safety surfacing. 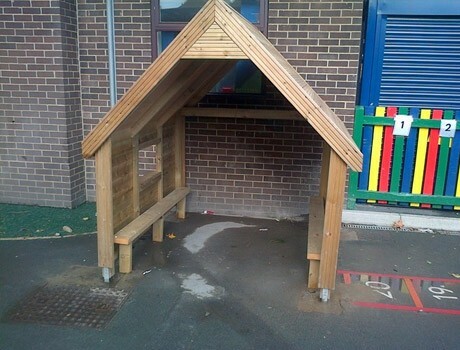 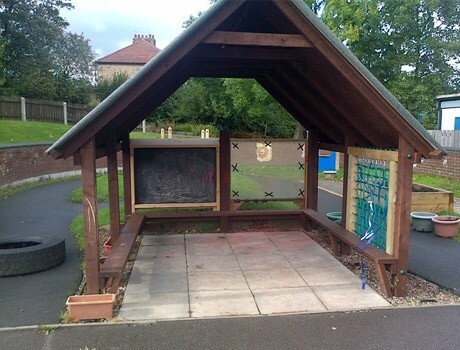 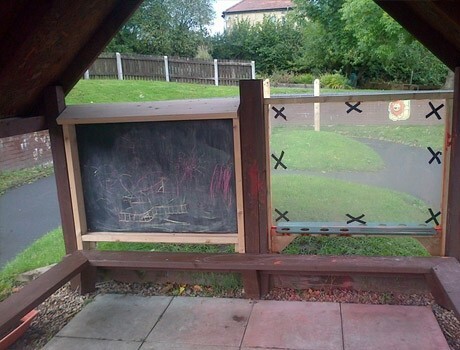 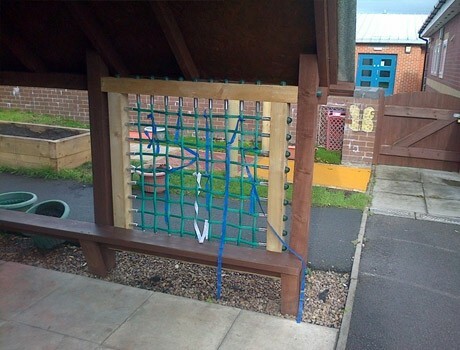 To complete the play area design we installed a small role play timber shelter with mark making activity panels.